Print Book, $17.95, available from Amazon and Lulu. What if humanity shared Earth with other sentient species? What would first contact with an alien race be like? What wonders or horrors could be wrought by our experiments to create new life-forms, both biologic and mechanical? This continued anthology examines these ideas, showing humanity’s interaction with the Other, in the form of anthropomorphic animals. The stories cover diverse genres, from science fiction and fantasy, to contemporary fables, exploring themes of race and culture and the endless possibilities of the human condition. 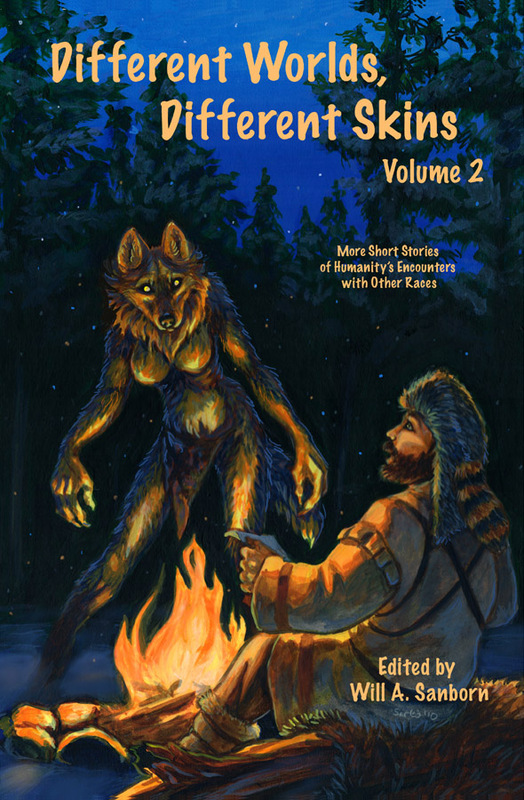 Featuring stories by Earl Bacon, Cebelius, Austen Crowder, Seth Drake, Phil Geusz, G.F.D., Jason Gillespie, Graveyard Greg, Renee Carter Hall, Saia Kferr, Paul Lucas, Annette C. Miller, Brian Miller, Benjamin “eSca” Reed, Ryx, Will A. Sanborn, James Steele, Stephen Soliz, Tim Susman, Phillip Velasquez, Viergacht, and Wirewolf. Cover artwork by Sara “Caribou” Palmer. This entry was posted on Tuesday, November 23rd, 2010 at 10:34 pm and is filed under Books, Merchandise for Sale. You can follow any responses to this entry through the RSS 2.0 feed.You can leave a response, or trackback from your own site.